I have now calmed down about the Batman corrupted save (although I am still annoyed) hopefully a fix will be arriving soon for the various issues on the 360 version of the game. Remember Me & Metal Gear Rising were this months offering & both look interesting enough to play so I started with Remember Me. 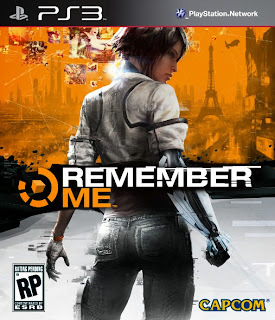 You control Nilin who is having her memory wiped by the Memorize corporation, she manages to escape & with the help of her friend Edge your story begins to bring down Memorize. I love the graphical Deus-Ex style futuristic look of neo-Paris but was surprised when I got into combat to discover it is a brawler type game. This is not a bad thing but the combat could be more refined to offer a Batman Arkham style experience. I've completed the first two chapters which also involved an enjoyable memory remix section which is similar to the current Batman Arkham Origins detective sequences but more involved. I also love the music in the game with it's electronic touches. This is one of those rare type of middle tier games like Enslaved that would be released in the hope they would become successful but alas the sales figures come under 250K which I assume is not enough to warrant Capcom investing further. I will however be investing more time to continue playing. Batman - Shredder Treatment !! This game deserves to be given the now famous Gary shredder treatment. How can my save have been corrupted?! Reading the RLLMUK thread over the past week lots of gamers were having issues with the game but I had none apart from a couple of lockups. 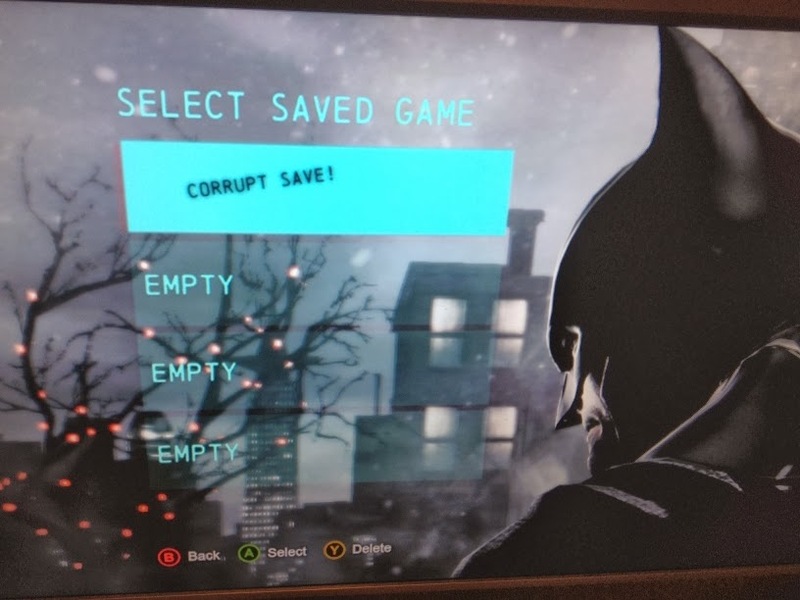 I went to load up the game today & CORRUPT SAVE! I love the use of the exclamation mark by WB Games It just needed a few expletives & would have summed up my feelings. I am feeling so angry, disappointed & sad that a game I was enjoying very much has corrupted with no apparent reason. 20 Hours !! 20 Hours of my gaming time never to return !! Sorry WB Game but there is no way I will be starting the game again. I'm DONE !! Do I buy on release or wait till the first round of price drops? When will that be 2015? How much will it drop, maybe down to £299. Saving only £50 to wait 18 to 24 months. 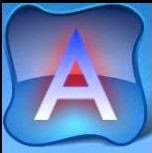 I want to play the multi-platform games on the best console (PC not considered) available the likes of AC4, Watch_Dogs, Need for Speed, Destiny etc .. But more importantly than that is SHINY !! You can never have too much of a good thing. My last outing with Batman prove painful for my RSI but there is no denying that it was still a great game to enjoy. This time around to avoid the same issues I'm playing the game on easy. I love flying around Arkham performing stealth takedowns, launching batarangs at unsuspecting criminals & solving another of the enigmas puzzles. It's more of the same yes but for me that's a good thing why mess with a winning formula. GTAV might be taking all the plaudits at the moment for open world gaming but I'll take Batman & Arkham any day. Origins is not developed by Rocksteady (who I hope are busy working on a next gen Batman) but by WB Games Montreal who have not altered the recipe that much. Some slight changes I've noticed so far are the obvious Batcave with its training facility & Alfred. The crime reconstruction sequences seem quite interesting (I've only performed one so far in the game) & the various radio towers over Arkham offer Enigma a chance to test your brain cells. You have various challenges that you have to perform to unlock some upgrades but generally you start off with most of what you already know from the previous games. The Uber Ethereal is dead & Earth is saved but “MR T” sacrificed himself to let the rest of the squad escape & destroy the Temple Ship. The six KHANS were united for over 50 missions between them, each complimenting each other’s abilities & skills. Shooting, scouting, healing & by using psi-ops to destroy the alien invasion. Great game & very satisfying when you manage to pull off an ‘overwatch’ strategy to take out a sectopod or a group of muton soldiers. It is tough and many times I would reload a save point to try a different approach. The main story is very brief in that you only three main missions you have to complete to finish the game but you will be given many random missions that give you the time needed to level up your characters & upgrade your facilities. So another PS+ game chalked up to completion, that makes three now (Uncharted 3 & Specs Ops). £35 for a year’s sub is proving great value for money. I have started downloading this month’s offerings of Metal Gear Rising & Remember Me but they both will have to wait because the Bat will be arriving soon !! One of favourite tactics is to put five soldiers into overwatch & use the last soldier to lure out the enemy. When they move BOOM !! five soldiers attack & take them out. It is very satisfying luring the enemy into a trap & having them destroyed in what is essentially the aliens turn in the game. I have upgraded my main group of six (two support, two assault, sniper and a heavy) to maximum levels unlocking all their abilities whilst also equipping them with titan armour & plasma weapons. Satellites have now been launched over all the countries & all that remains is to upgrade the interceptor fleets & equip them with plasma cannons. If I had only one wish for this game it would be the chance to increase the squad size to eight this would allow be to have another sniper & heavy in the team. 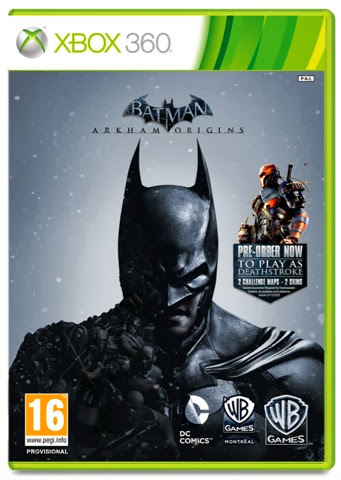 I have again pre-ordered Batman Arkham Origins hopefully I can complete XCOM before the Dark Knight arrives. Watch_Dogs (Yes I have only just changed the blog logo) has been delayed by Ubifarce so this had me thinking what other game I would get on release with the console. I have no interest in the Battlefield/CODs/Fifas or Need for Speeds of the gaming world so what else was left? Knack? Ok seriously what else was left? Killzone or Assassins Creed 4, a generic shooter or a cow that has been milked too many times? In the end I decided to cancel my pre-order none of the release day games interested me so I will wait, possibly a year. 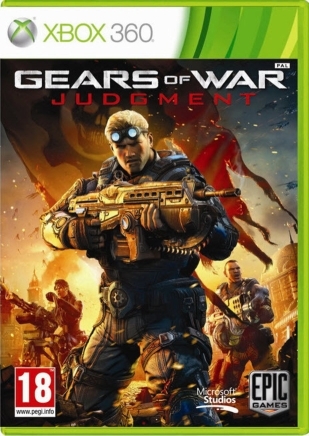 Until then the current gen (360 & PS3) has more than enough to offer. 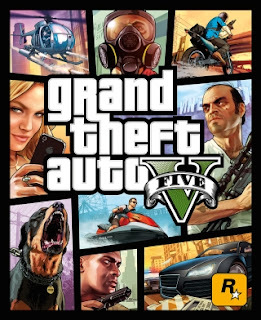 GTA V & the Monday PMGs will keep me entertained online during my last year of gold subscription & XCom, Mass Effect 2 & 3 & countless PS+ & XBLA games will give me enough single player games to enjoy. When I purchased GTA V I stupidly cancelled my £27.99 pre-order for Batman Arkham Origins & £17.99 pre-order for Deus Ex HR Directors Cut so now I will wait for both of these games to get released & drop in price before purchasing. The other option was the XB1 but truthfully it is not even in contention thanks to Microsoft’s policies I don't trust them & the amazing value PS+ offers. 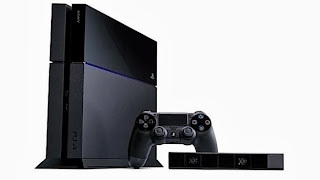 I will be buying a PS4 just not on release. Yes the language is atrocious but nothing more so than in an adult movie. After playing the single player tutorial I jumped into the online world to start another tutorial. Once that was completed I finally managed to join the UGVM Rebels. We started off with some races on motorbikes both on which I got pipped by Hakk & Luffers at the line. Then some car racing which I was dreadful at, a mission to collect some drugs & drop it off at a location which I promptly died instantly but we completed on the second attempt with me being the getaway driver. We then moved onto a parachute jump which I totally messed up followed by a BMX race in which I just got off the bike & started shooting at Luffers & Hakk. We then drove to another mission & along the way I decided to knick Luffers car whilst he was shopping for ammo, after Luffers got his revenge, Hakk gave me lift in his convertible mini to the meeting point. I promptly then died by the gunmen whilst jumping over a wall, deciding to go for a more stealthier approach with a pistol?! I then climbed to the top of an industrial complex only to fall to my death, Luffers then went & completed the mission on his own. We finished up the evening with a round of golf, I am not a fan of the GTA games because of the violence, language & sexual content in excessive nature but the online playground is very good fun & one I will be revisiting again & again during my last year of my live subscription. Started this on the 360 last year but it got sidetracked my other games I was more interested in playing. 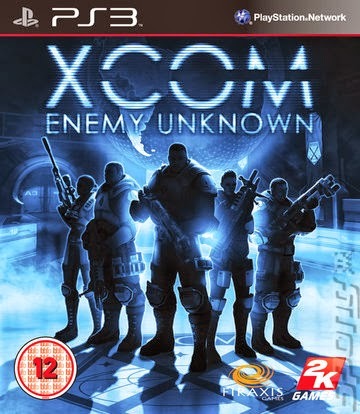 Since then it was added to PS+ so I sold the 360 version. With nothing to play until the pre-orders start arriving it was time to revisit some of the ignored games. I played a fair bit on the 360 before leaving the game so I went for an American base & quickly started building up the base with a thermo plant & an alien containment unit. I only have five team members at the moment with two assault, a heavy, sniper & support. Focusing on developing the weapons to get the laser guns & trying to save enough cash to launch some satellites into orbit.